A T4A slip is a statement of pension, retirement, annuity, and other Income. Generally, you need to complete a T4A slip if you are a payer of other amounts related to employment;usually sub contract, and not reported through the payroll module. 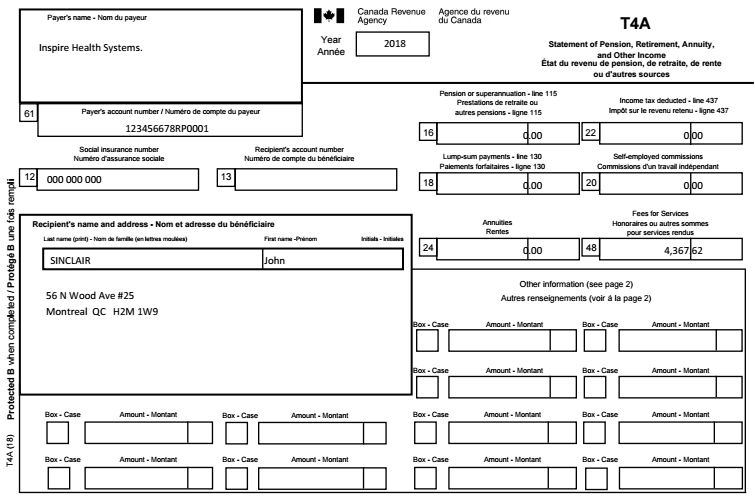 Spire reports all vendor invoices less HST/GST in Box 48 (fee for services) of the T4A.